Leila O’Connell is a Licensed Independent Clinical Social Worker in Providence, RI specializing in trauma, anxiety, depression, chronic illness, persistent and severe mental illness, and loss and grief. She has particular expertise in trauma/PTSD and supporting clients with major depressive disorder, bipolar disorder, and schizophrenia. Leila O’Connell is a Licensed Independent Clinical Social Worker in Providence, RI specializing in trauma, anxiety, depression, chronic illness, persistent and severe mental illness, and loss and grief. 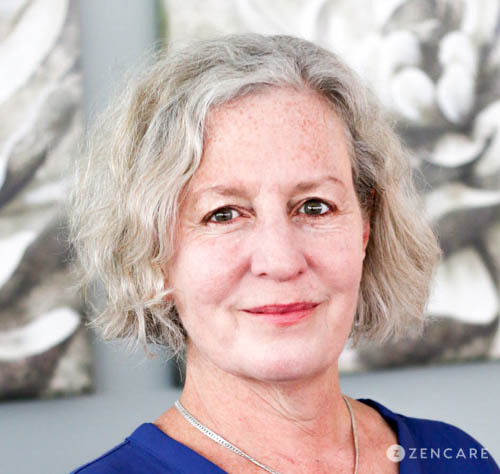 Leila combines excellence in evidence-based therapy techniques with extensive clinical experience of nearly 30 years in practice. Leila enjoys helping clients recover from trauma, working at a steady pace to gently guide clients beyond painful past events to lead more fulfilling lives. She has particular expertise in supporting individuals with persistent and severe mental illnesses, including schizophrenia and bipolar disorder. Leila also works with many older adults facing challenges related to aging, such as navigating chronic physical health conditions. Furthermore, she frequently works with individuals diagnosed with cancer, providing them emotional support. Leila primarily takes a psychodynamic approach in order to help clients better understand themselves and their emotional patterns, incorporating elements of Cognitive Behavioral Therapy (CBT) techniques as well. Leila highly values a team-based, collaborative approach, and works closely with clients’ healthcare team of psychiatrists and primary care physicians to ensure close-looped care. Leila’s practice welcomes an eclectic mix of clients including individuals in academia and in the arts community. She takes special care in engaging clients with compassion, humor, and sensitivity. Sliding scale: A sliding scale of $40 - $100 is offered to clients who need a reduced fee to receive therapy. "Compassion, curiosity and humor are the best adjectives to describe my work. I have been a clinical social worker for nearly 30 years and believe more than ever in the power of the 'talking cure.' I provide a safe space for people to share their stories and bear witness to their pain and sorrow. Thru this process people learn to (re) create sustainable lives. I believe that recovery/positive change is always possible and strive to offer people hope thru our work together. While psychodynamically trained, I often use CBT techniques, self compassion and case management on a case by case basis."